giveaway to share with you! 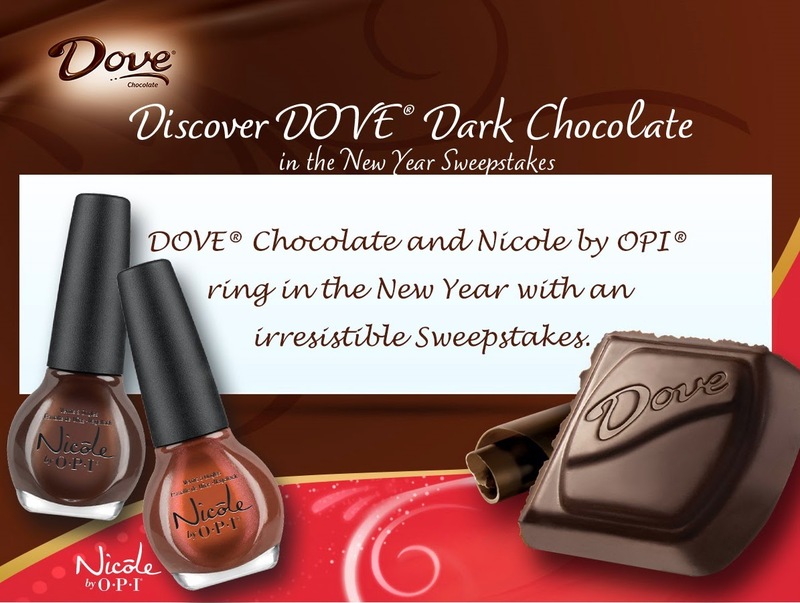 Nicole by OPI have teamed up to help you Discover Your Dark Side in the New Year! myself, and they are DIVINE! Swatches coming soon, I promise. Year” kit to give away to one very lucky reader! from Nicole by OPI, made exclusively for this sweepstakes. starting at 12:00 am on 2/4/2014. each and everyone one of you! “Discover Your Dark Side in the New Year” sweepstakes page too! What a nice giveaway! Good luck to everyone who can enter! Sadly, I won't be able to since I'm from Canada but best of luck to everyone! Aww, sorry Lisa! I'll have to get a giveaway up soon for the international ladies such as yourself. Oh no I started filling it in but I can't enter either, the polishes looks awesome, love brown polish! I hope I see swatches of these. Sorry love 🙁 I'll be sharing the swatches soon though! You are going to LOVE the dark brown, it's gorgeous!